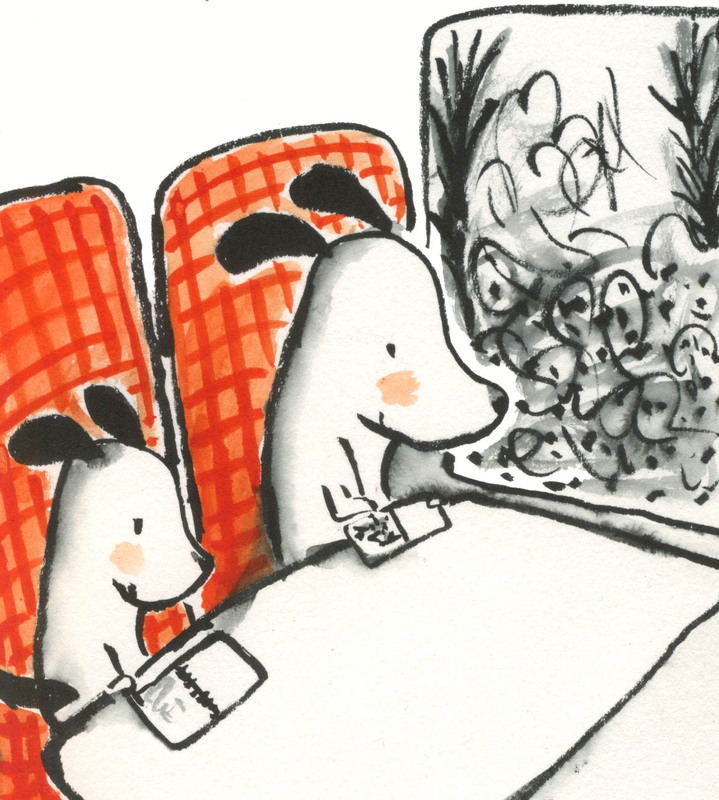 We went on a train to see our friends in Bristol, on a very rainy day in the first week of the school holidays. And it was lovely and exciting and quite drippy. 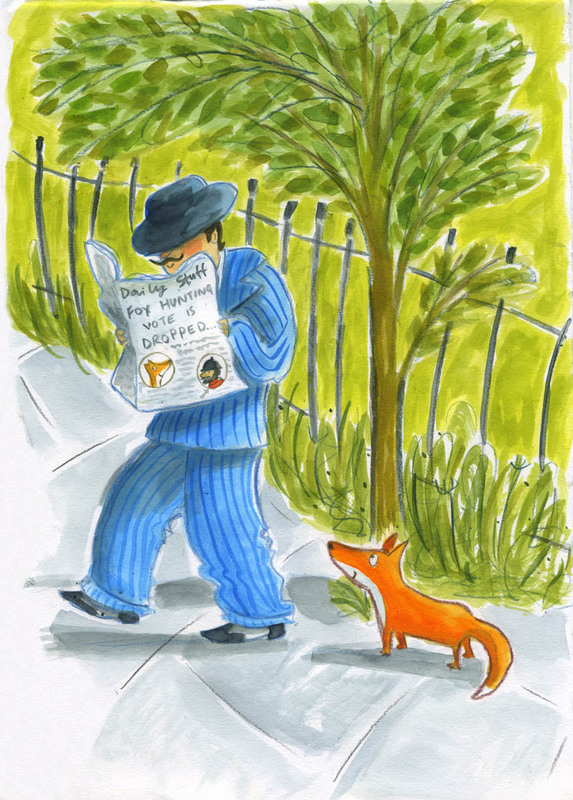 …and feeling pleased that, for the time being at least, fox hunting is still banned in England. Inspired by the #colour_collective colour of Cyan Blue Azure this week on twitter. 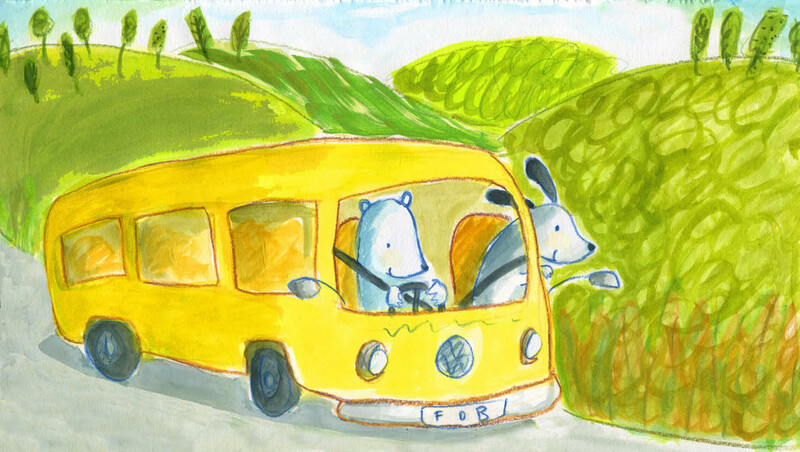 The #colour_collective colour on twitter today is corn yellow, which made me think of a recent trip with fellow illustrator Rebecca Ashdown in her yellow van to eat tea and cakes in the sunshine. 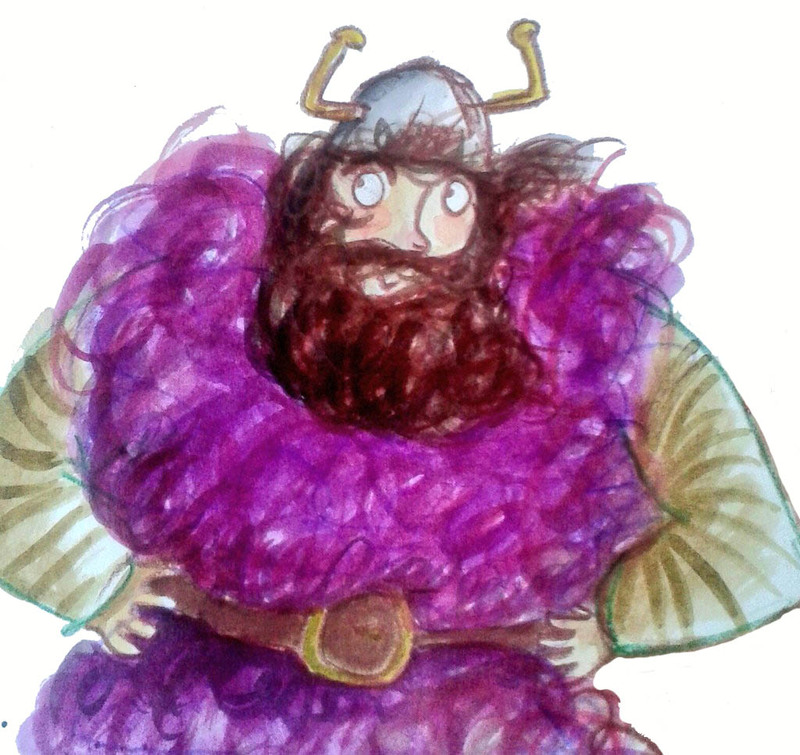 Something for last Friday’s #colour_collective on twitter… I think his name in Eugene. Eugene In Aubergine. Yesterday was the 1st of July and the theme for #pinchpunchpost on twitter was lions. 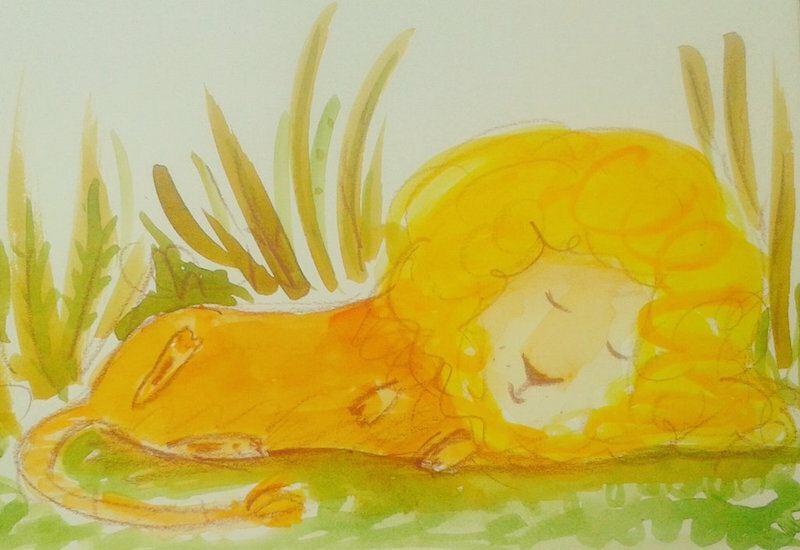 So I drew a quick lion – he’s very sleepy because in England it was officially a Very Hot Day.